Different associated properties of city models like building geometries, building energy systems, building end uses, and building occupant behavior are usually saved in different data formats and are obtained from different data sources. Experience has shown that the integration of these data sets for the purpose of energy simulation on city scale is often cumbersome and error prone. A new application domain extension for CityGML has been developed in order to integrate energy-related figures of buildings, thermal volumes, and facades with their geometric descriptions. These energy-related figures can be parameters or results of energy simulations. The applicability of the new application domain extension has been demonstrated for heating energy demand calculation. 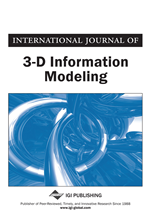 3D city models have been used for heating demand calculation, photovoltaic potential assessment and other energy-specific simulations at urban scale by other researchers before (Strzalka, Alam, Duminil, Coors, & Eicker, 2012; Nouvel, Schulte, Eicker, Pietruschka, & Coors, 2013; Schrenk, Wasserburger, Mušič, & Dörrzapf, 2013; Dalla Costa, Roccatello, & Rumor, 2011; Prandi, et al., 2013; Bahu, Koch, Kremers, & Murshed, 2013). Such simulations can help residents, urban planners, investors and decision makers to estimate economic and ecologic saving potentials. Residents and urban planners could evaluate saving potentials according to different refurbishment scenarios in order to optimize the cost-benefit ratio. Estimates about solar potentials and heating demands could help citizens, urban planners and investors to contribute in the development of new energy efficient city districts. In order to perform energy-specific calculations of 3D city models saved in CityGML, not only the 3D building geometries are needed to know, but also additional energy-related key figures about building physics, energy systems and occupant behavior. These figures are required for thermal modelling of the buildings and for predicting their heating demands more accurately. CityGML as of version 2.0 offers only few semantic attributes relevant for energy simulation, such as the building function, year of construction, number of storeys and roof type. The usage attribute of the building feature type doesn’t allow the assignment of arbitrary combinations of building uses and is therefore not suited for accurate and sophisticated simulations. Other important energy-related key figures like thermal zones, energy systems and occupant behavior cannot be encoded. These shortcomings of the CityGML standard from the energy simulation point of view led us to the development of a CityGML application domain extension (ADE) for energy-related key figures. In this paper, an Energy ADE for CityGML is presented which allows the thermal modeling of buildings required for urban scale energy simulation according to the heat demand calculation standards ISO 13790 and DIN V-18599-2. The Energy ADE is presented along with aspects of the urban energy simulation system SimStadt (SimStadt, 2013). The Energy ADE has been designed with respect to the requirements of SimStadt and defines a significant part of the software’s internal data model. While running energy simulation workflows with SimStadt, the attributes defined in the Energy ADE become gradually populated. SimStadt enables the mass processing of large CityGML models with level of detail 1 and 2 (LoD 1, LoD 2) geometries in urban energy simulations. The system has been evaluated and applied in the scope of the Klimaschutzprojekt Landkreis Ludwigsburg (Remlinger & Köhnlein, 2016) where it has been used for the calculation of heating demands. SimStadt has been developed by the HFT Stuttgart together with the partners M.O.S.S. Computer Grafik Systeme GmbH, GEF Ingenieur AG, and the University of Nottingham. Another benefit of the created ADE is that it is especially useful for the integration and exchange of the data coming from different sources (municipal databases, crowdsourcing, energy use data). A concise and integrated data model is needed during civic participation campaigns where interoperability is important to allow multiple participants to contribute. Such an ADE eases the simultaneous, distributed and integrated gathering of physical building characteristics, occupant behavior, energy system characteristics and geometry refinement. The ADE can be helpful in avoiding cumbersome and error prone manual data integration from different sources.